While jaguars are found all over South and Central America, actually seeing one is a rare coup. But not impossible, and all the more likely if you put yourself in the best situation for the magic moment to happen. If your interest is piqued by the thought of putting yourself in the advantageous position to witness a wild jaguar, then you’re going to need to get off the beaten path and make sure your timing is right. We’d recommend jumping on our Water Paradises of Brazil trip. The 10-day trip immerses you in the wilds of Brazil, kicking-off in Rio de Janeiro where you definitely won’t see any wild jaguars, but you will gain an appreciation for one of the most dynamic and energetic cities on the planet. From the white sand beaches, to the transcendent cuisine, the unmistakable icons, the world’s largest urban forest, and the spirited nightlife, you’re certainly not off the beaten path yet, but some places are just too incredible to miss in the lead up to the centerpiece of this carefully crafted adventure. Then it’s time for jaguar seeking. 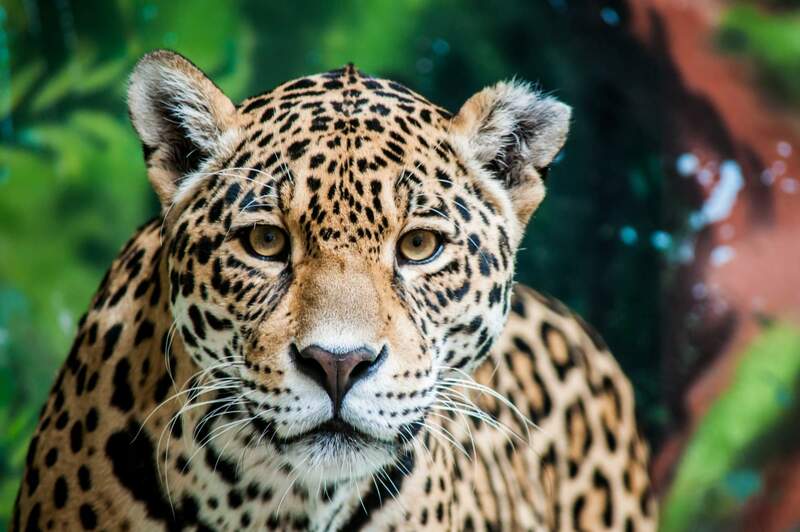 In the depths of the legendary Pantanal – a colossal, biodiversally complex basin and the planet’s largest tropical wetland – you’ll be on the lookout for that rare big cat the Inca worshipped as a god. Jaguars love the seasonally -flooded habitat the massive wetland provides, so you’ll want to time your visit to coincide with the region’s dry season – July to October – when jaguars are significantly easier to find, relatively speaking, of course. The jaguar’s notoriety as a highly covert creature is such that, until recently, they were actually thought to be unfilmable, that is until the BBC’s Wild Brazil crew trekked into the Pantanal to find the world’s pound-for-pound strongest cat, and capture it on camera. With a bit of good fortune – and calculated trip construction courtesy of our team of Latin America experts – so could you. Then, after four days of keeping your eyes peeled for the caiman hunting felines, you’re off to close out your Brazil adventure relaxing in Bonito. While not quite as hard to find as a jaguar in the jungle, tourists remain a pretty rare site in Bonito. These highlands south of the Pantanal are a wonderland of crystal clear lakes and rivers, caves and waterfalls. Celebrated by those who actually know of it for its exotic drift-snorkeling excursions, Bonito promises to deliver heaps of exotic animal viewing as you explore the world of incredible tropical fish and underwater plant species. The next jaguar spotting season in the Pantanal is already less than a year away. If you’ve ever dreamed of witnessing one for yourself, give us a call today and we’ll chat about the best plan of action for you and your jaguar dreams.